Blogger is a blogging platform from Google which hosts blogs at blogspot.com subdomain. Unlike WordPress, Blogger cannot be installed on a web server and your blogs content are hosted by Google for free. You can change the subdomain to a custom domain with DNS redirects if you want. Blogger is a first CMS platform i used before skipping to WordPress due to lack of resources and flexibility back than. But it has evolved to a much higher level in the recent past and getting better everyday. Up until the templates available to Blogger user was limited and lack in features as compared to WordPress themes. Recently huge number of developers have turned over to Blogger and designing a feature rich best free blogger templates that can compete equally with WordPress themes on every section. 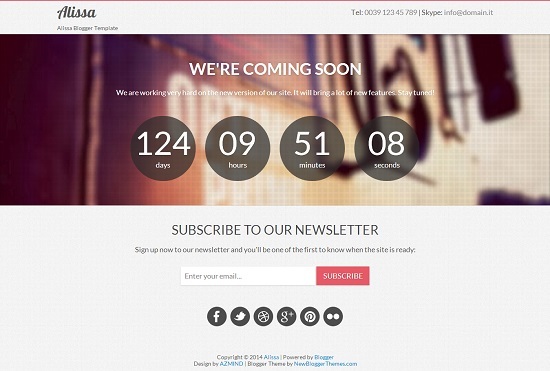 Here we bring you with the best collection of such a free blogger templates of 2014. This collection contains hand picked best free blogger templates 2014. We will continue to update this list through out this year(2014) so please stat tuned to it. Please share this collection with your friend and leave your feedback using below comment form. Also suggest any templates that you want it to appear in this list. 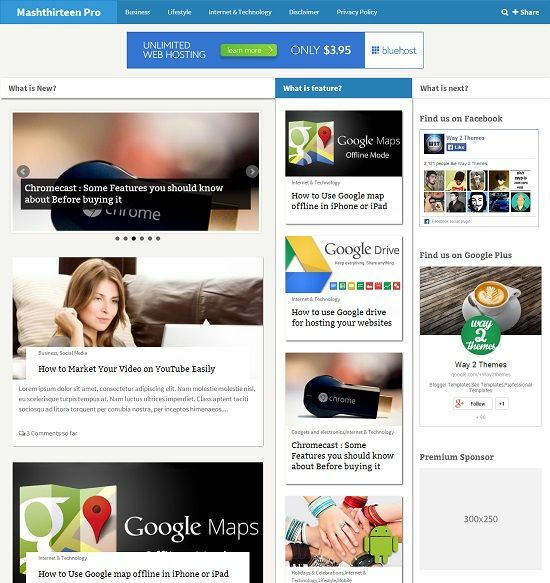 MashThirteen Pro is a well designed free blogger template which is inspired by Mashable.com. It is a magazine, content oriented and news style layout template comes with powerful features which makes your blog stand out from the crowd. 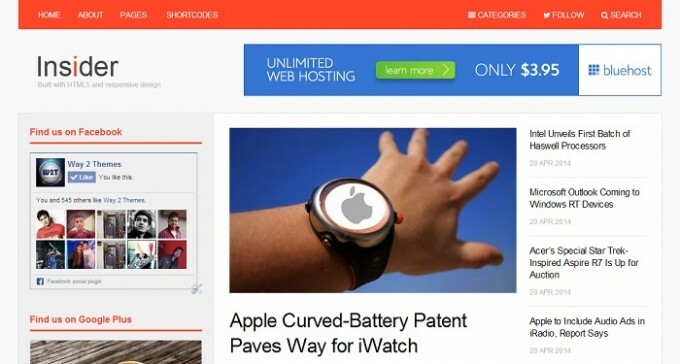 MashThirteen Pro is ideal choice for magazine, news and any content niche blog. 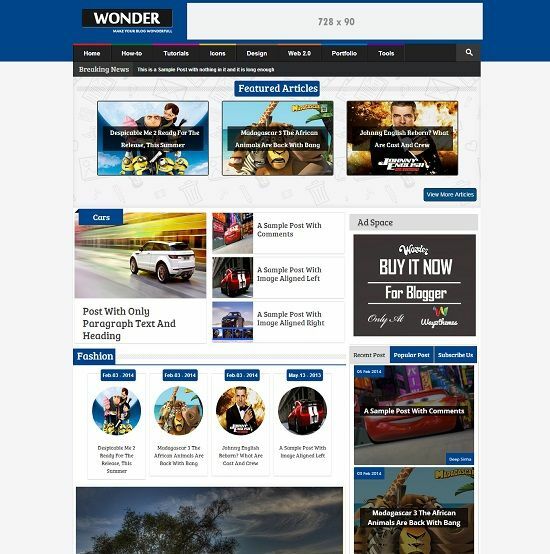 Wonder is a free responsive blogger template with magazine and multimedia gallery style. It comes with 3 skins, 2 post layout, 4 types of label, SEO friendly, featured slider and more. Ideal choice for multimedia, game, gallery, magazine, tech and news blogs. Fifamag is a responsive game blogger template for Fifa football word cup 2014 fans. 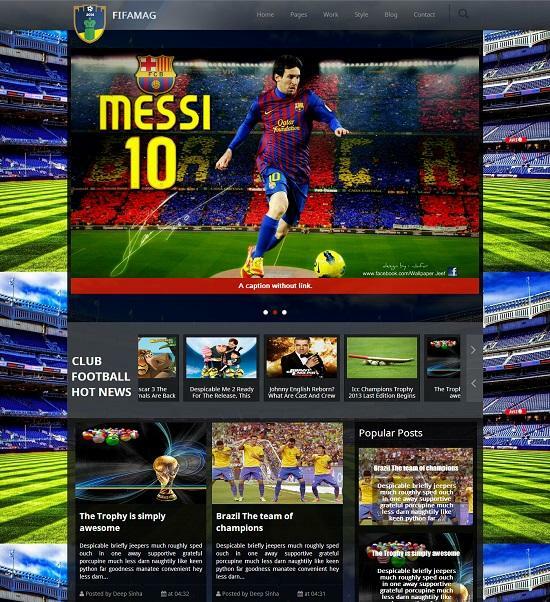 It has all features to make your own football sport or any game blog. Fifamag is a magazine and gallery style design comes with flexslider, logo slider, breadcrumbs and many other features. 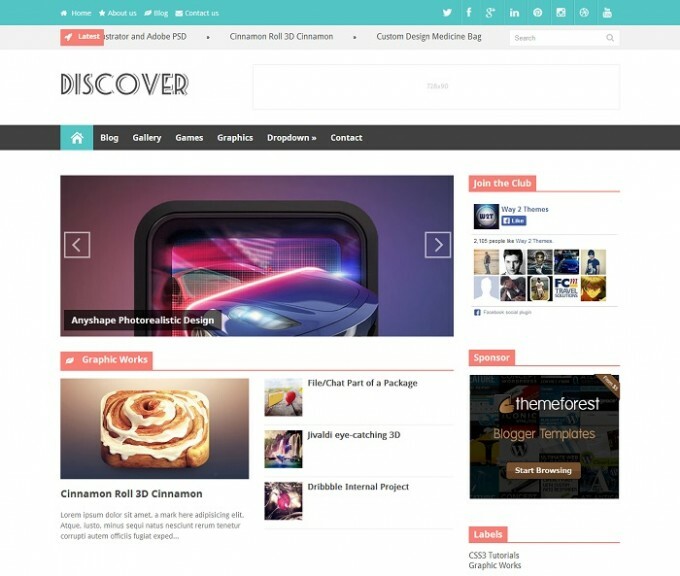 Discover is a simple, clean and flat designed blogger template. It is a fully responsive blogger template with magazine layout which you use it on your magazine, tech and news blogs. 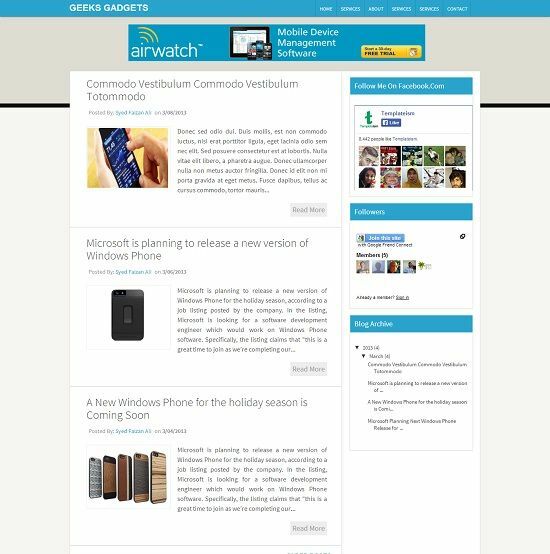 Flat Vetro is a free responsive blogger template with flat designed magazine layout. Flat Vetro template can be used on magazine, tech and personal blogs. 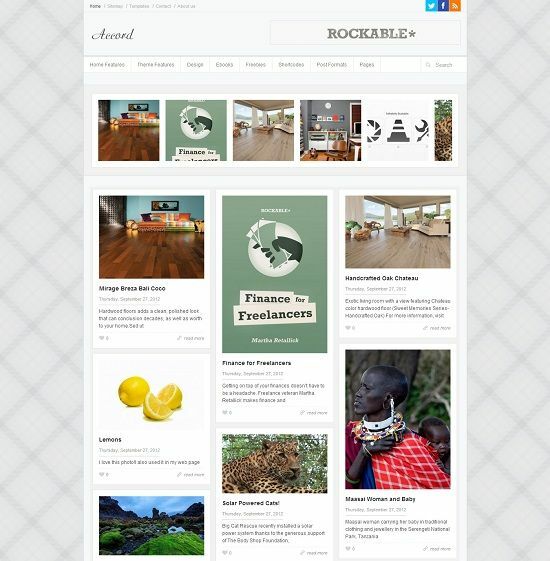 Insider is a free magazine blogger templates with responsive in design. This template is optimized for page speed score which makes your content load faster. Best choice for online magazine, tech, review and content rich blogs. VideoMag is a free premium video blogger template. It is a responsive in design comes with video slider. 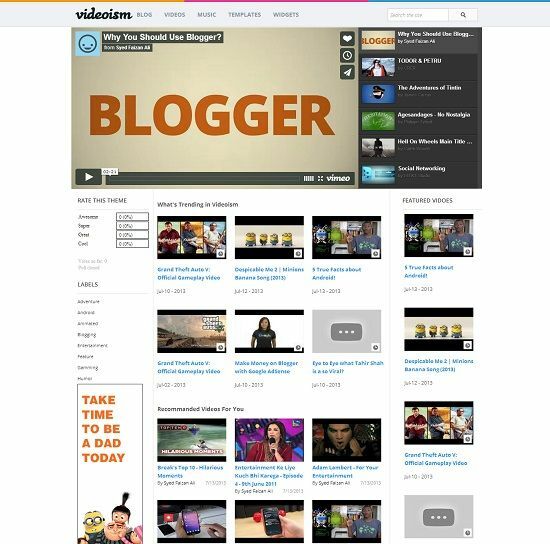 VideoMag supports Youtube which allows you to stream videos directly from your website. Best suitable for video related blogs. Aniva is a simple, clean and minimalist blogger template. It is a fully responsive and retina ready template. Aniva supports Youtube, Dailymotion and Vimeo to stream videos from your website. Ideal choice for magazine, video and personal blogs. 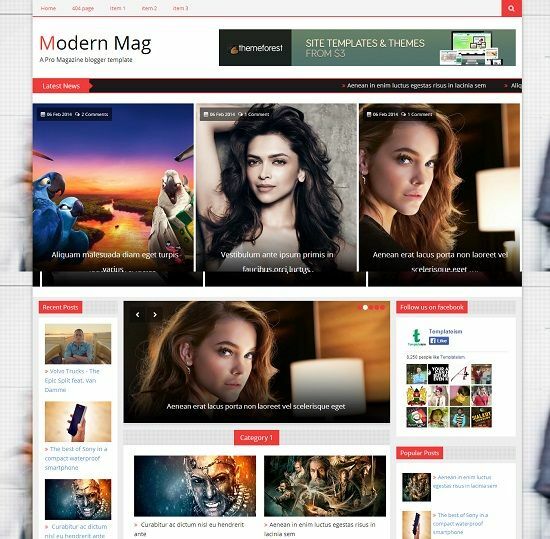 Modern is a free premium blogger template with mind blowing layout design. 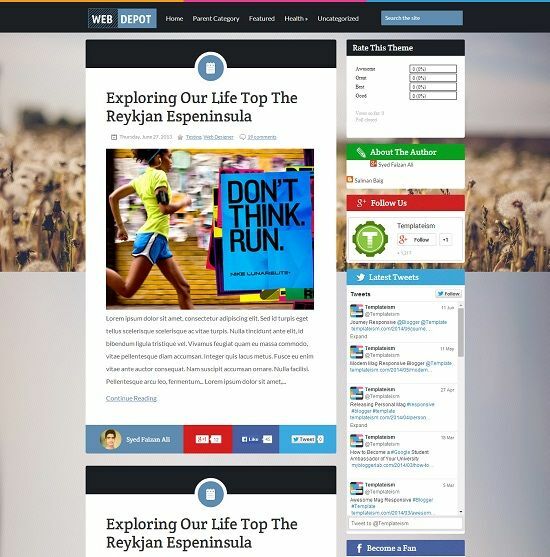 Plenty of features are included to make it more robust and powerful blogger template. Perfect choice for online magazine, news and multimedia websites. 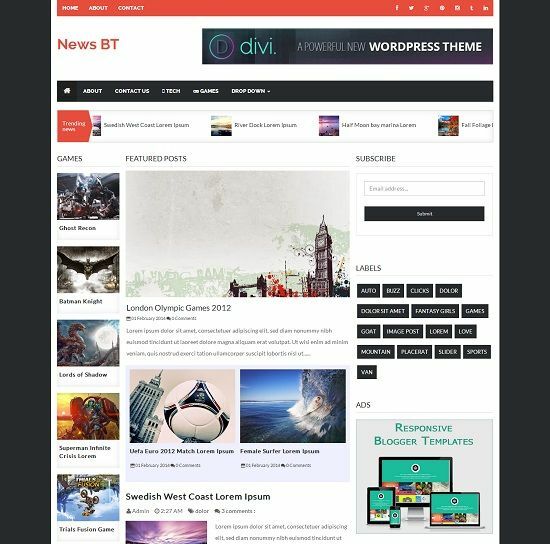 NewsBT is yet another free magazine blogger template. It comes with news ticker, subscribe widget, social buttons and custom widgets which together makes a perfect magazine blog. Ideal for your magazine, gallery, tech and content niche blogs. 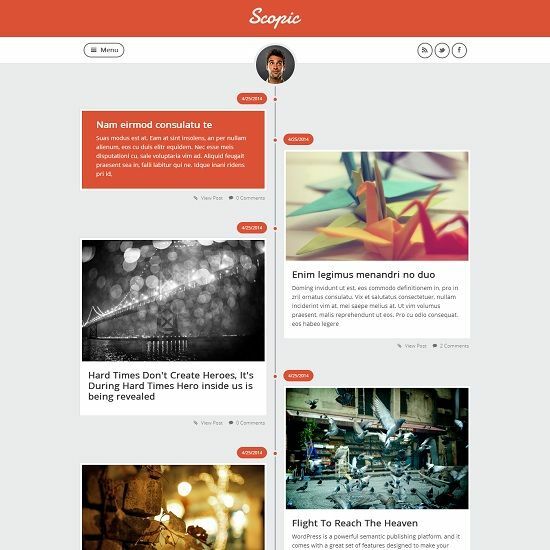 Scopic is a clean, simple and unique kind of blogger template. It is based on Facebook timeline with space between thumbnail and content which makes best user experience. Ideal choice for personal, portfolio, art and photographer blogs. 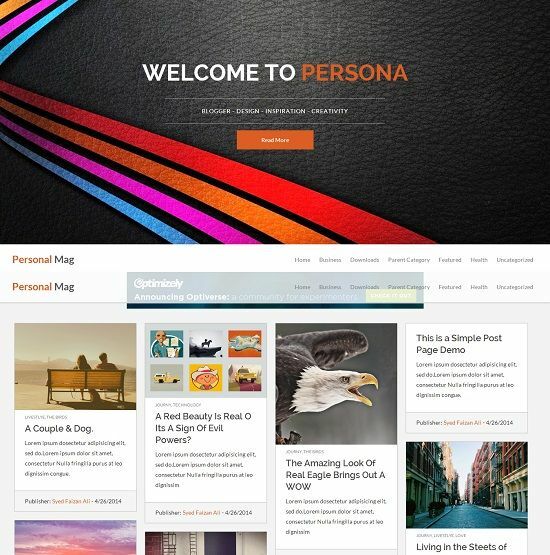 Personal Mag is a free premium, grid based and responsive blogger template. 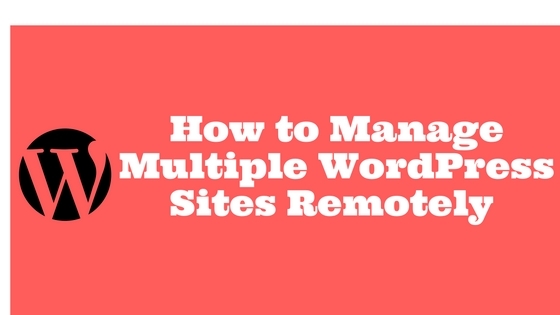 It comes with powerful features such as – logo slider, google maps integration, social share button, tabbed widget, full Width or fixed layout and many other. 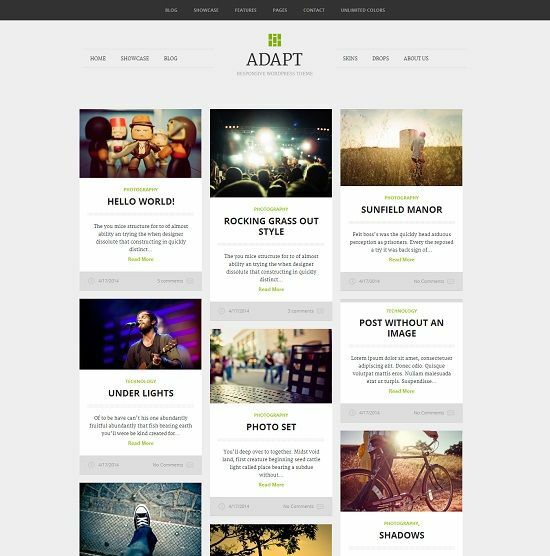 Adapt is a free premium portfolio blogger template with responsive layout. Perfect choice for photographers, image and portfolio websites. 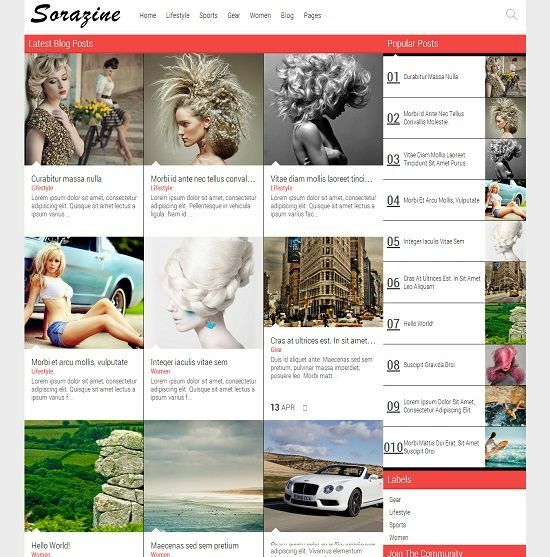 Sarazine is a grid based blogger template with well crafted unique features. Ideal solution for photographer, gallery, image and art related website. WeblogMag is a free professional magazine blogger template comes with many features such as – featured post slider, custom widgets and news ticker etc. 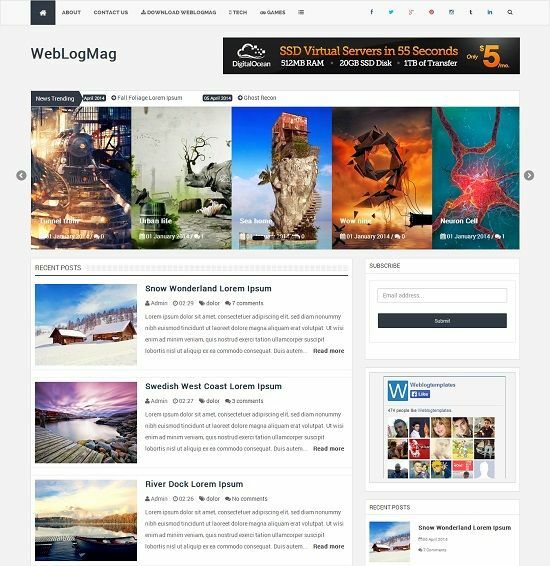 WeblogMag blogger template can be used on magazine, news and tech blogs. 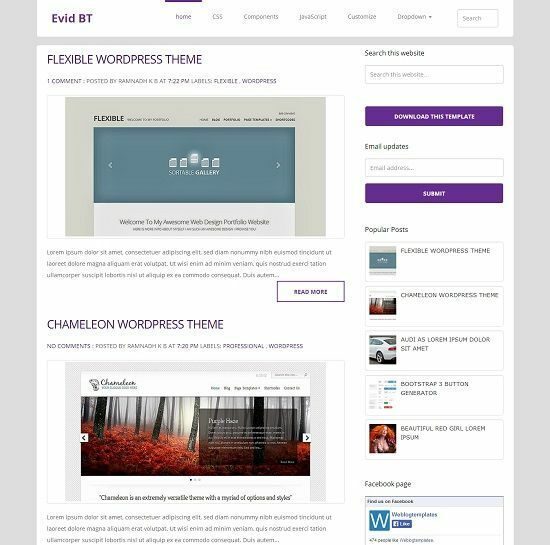 EvidBT is a simple, clean and minimalist with fully responsive blogger template. Ideal solution for magazine and personal websites. 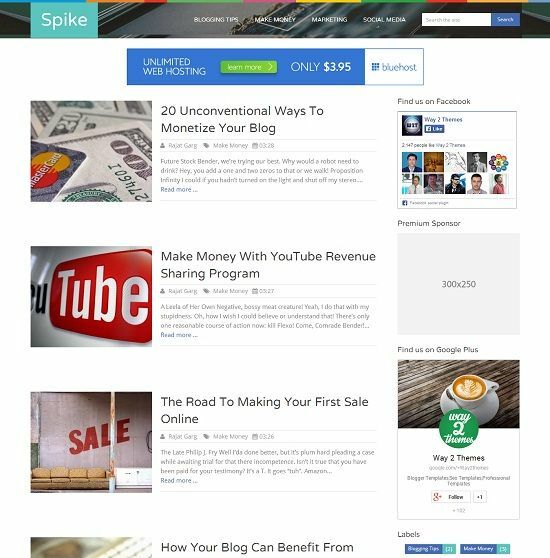 Spike is a clean and powerful magazine blogger template. It is coded with latest web codings for best optimization. Best suitable for magazine, news and tech websites. 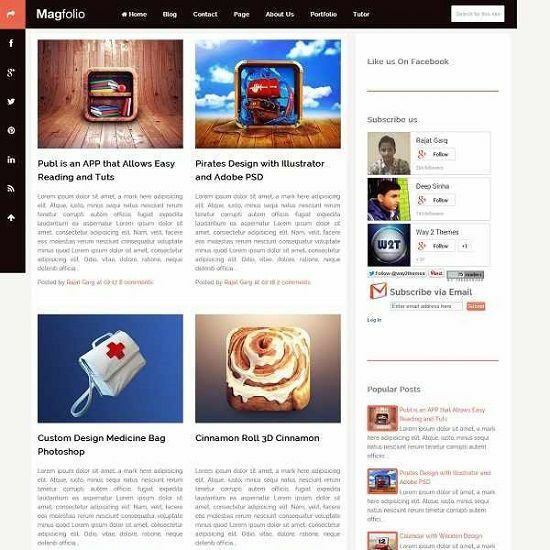 Magfolio is a free premium portfolio blogger template to showcase your design work. It has a grid based post style which is ideal choice for art, portfolio and image related websites. 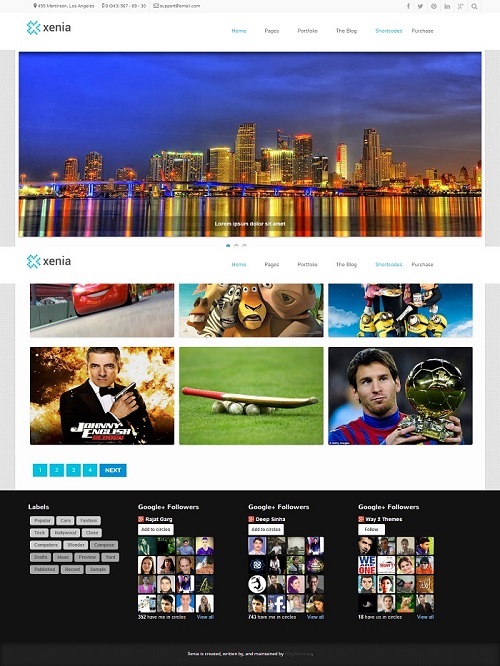 Xenia is a portfolio responsive blogger template. It is a 2 column layout template with 4 column footer section and well optimized for search engines. Ideal for art, photographer and portfolio related websites. Feature is a premium looking magazine and personal blogger template. 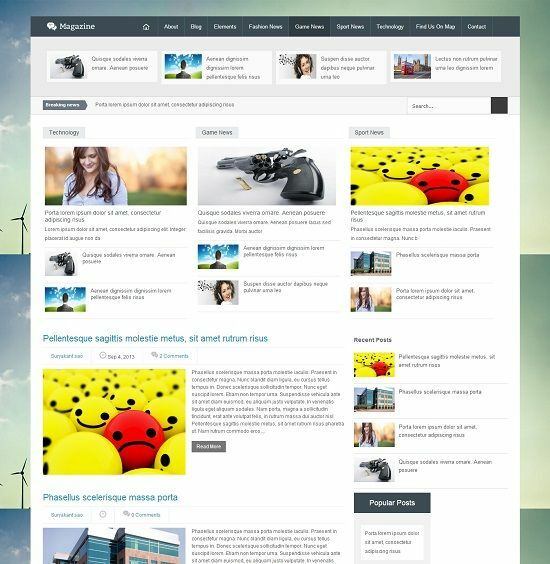 It is fully flexible and completely customizable blogger template. Ideal choice for magazine, tech and personal blogs. 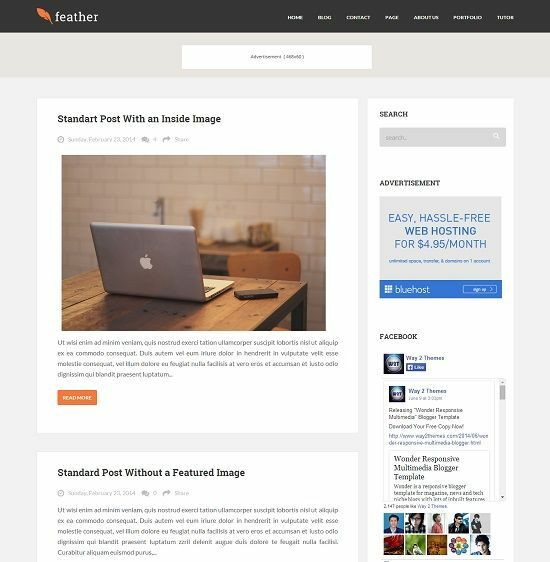 Leatherbound is a free blogger template with elegant style and wood background. Perfect choice for personal blogs. Braxton is a fully responsive and flexible blogger template suitable for those who wants to blog about lifestyle and fashion. 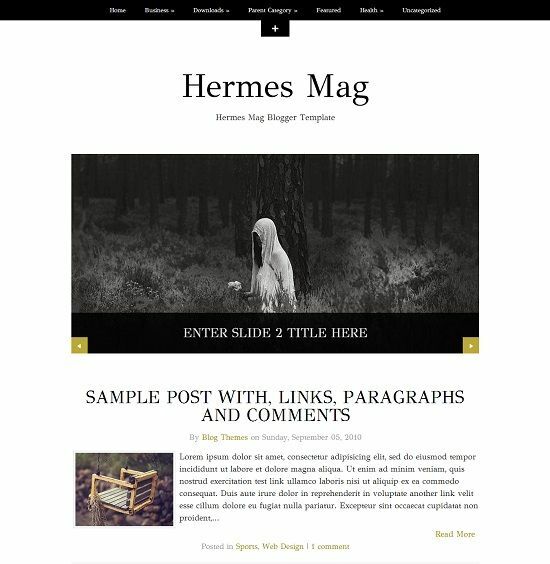 Hermes Mag is a simple, clean blogger template for personal blogging. 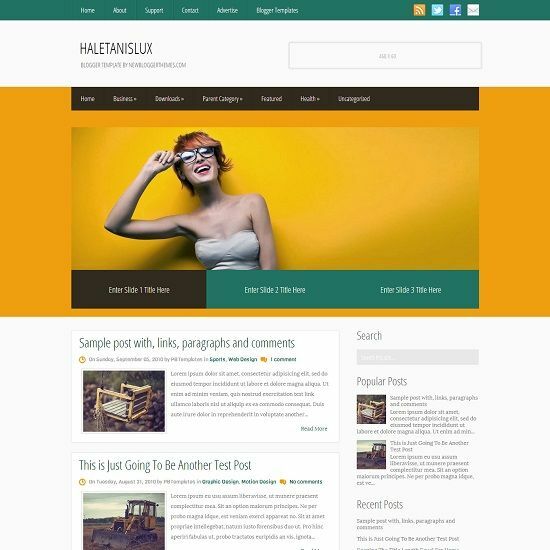 HaletanisLux is a free magazine blogger template for your online magazine and personal blogs. 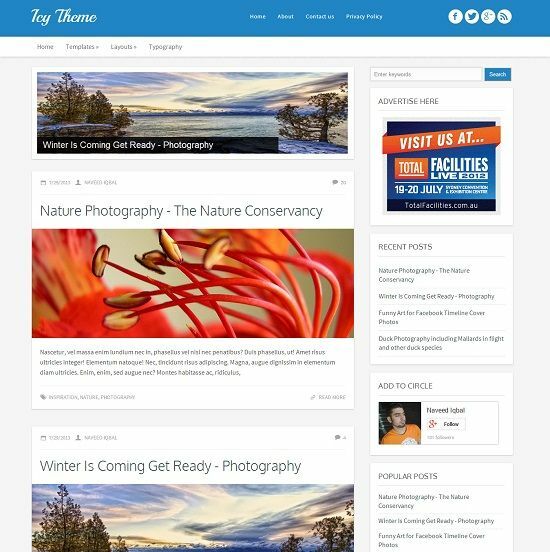 ICY is a clean, elegant and responsive blogger template with post formats. Ideal choice for your magazine, tech, news and personal blogging. 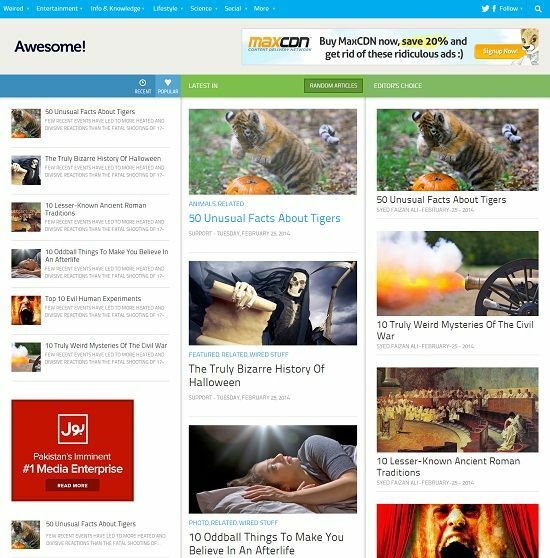 Awesome is free premium responsive, grid based and truly feature rich blogger template. Best choice for your magazine, portfolio, gallery, news and personal blogs. 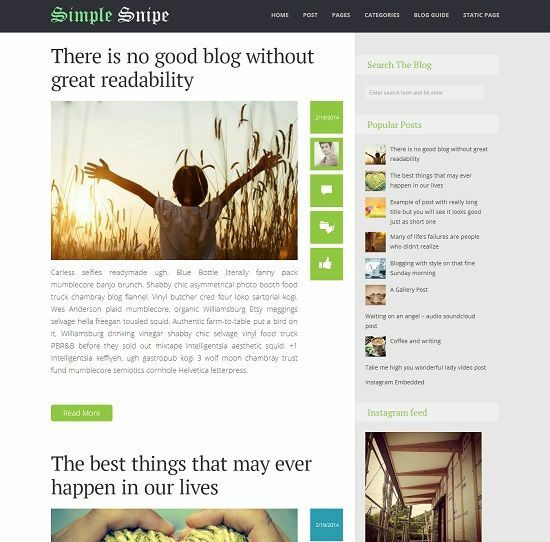 Simple Snipe is a fully responsive, clean, minimal and highly flexible blogger template. Best suitable for magazine, news, tech and personal websites. Alissa is a free responsive under construction or coming soon blogger template. It can be used to collect followers and subscribers before launching any product or service. 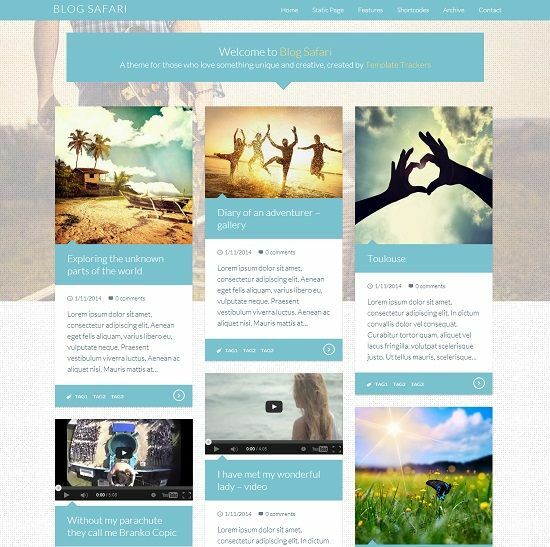 7seas is a clean, sleek looking multi-purpose blogger template with fully responsive layout. Ideal solution for online magazine, portfolio, lifestyle, food, fashion and cookery blogs. 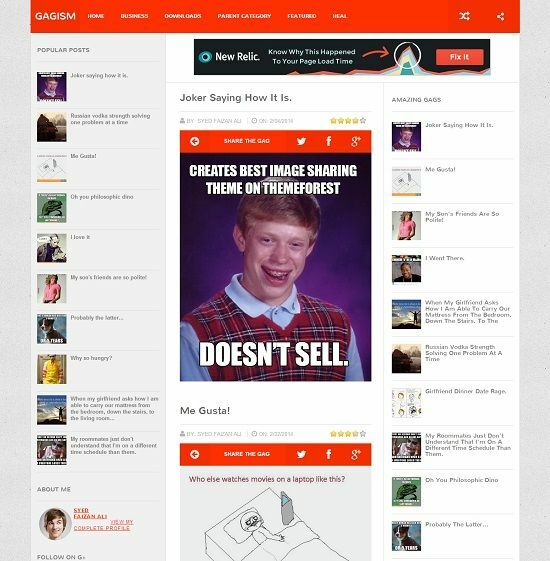 Gagism is a gag based free responsive blogger template. Perfect choice for magazine, gallery, tech and personal blogs. 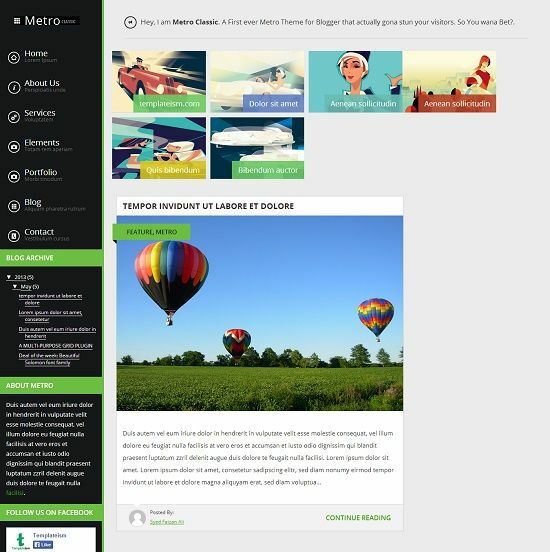 MegaMag is a free blogger template with portfolio layout. Best suitable for portfolio, gallery and personal blogs. 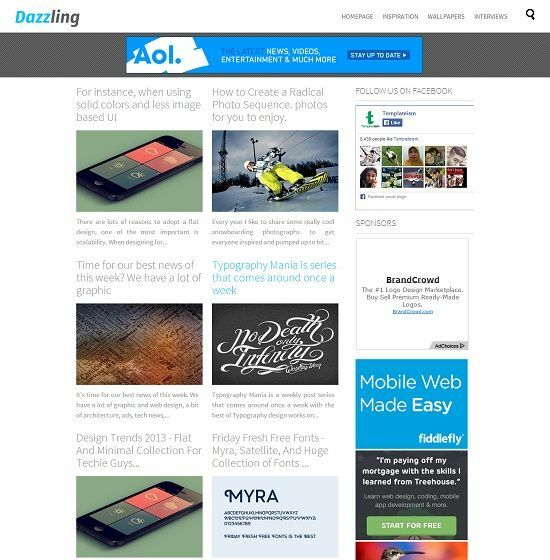 Dazzling is grid based free blogger template with magazine and gallery style layout. Use this template on magazine, portfolio, gallery, gadget and personal blogs. 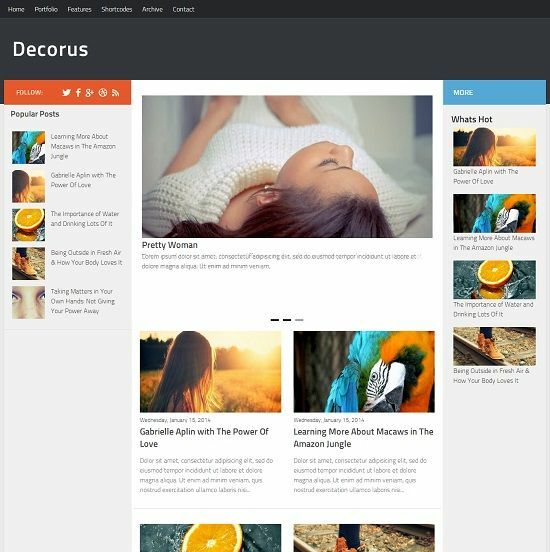 Decorus is a fully responsive multi purpose blogger template, best suitable for gallery, magazine, portfolio, tech and personal blogs. 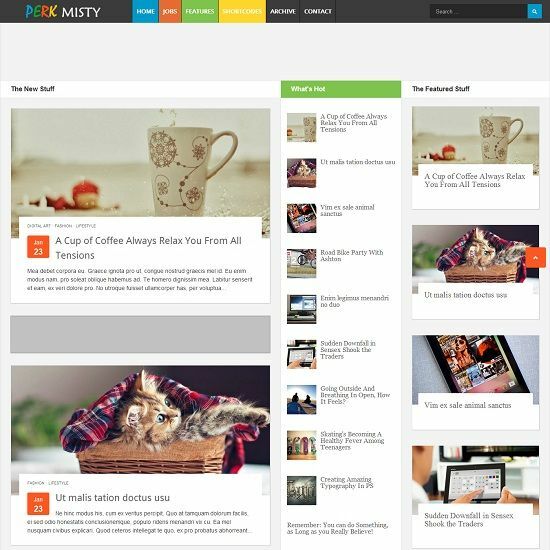 Perk Misty is a multi-purpose responsive blogger template with 3 column layout. Ideal for your online magazine and tech blogs. Wedding Mag is truly a free premium blogger template with responsive layout. This template can be used on wedding niche blogs but also can be used on portfolio, gallery and photography related blogs. 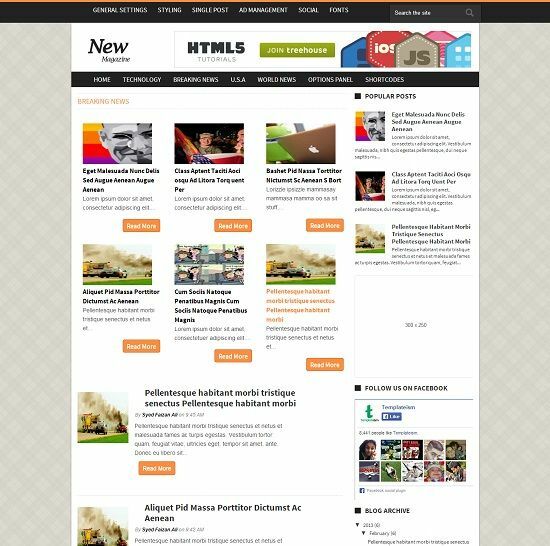 News Magazine is a free responsive blogger template with magazine style layout. Use this template on magazine, portfolio, gallery and personal blogs. Magazine is a free responsive blogger template. It comes with many powerful features. Best suitable for online magazine, news, portfolio, technology and personal blogs. Frontpage is a clean and minimalist blogger template. It comes with tons of features such as – featured slider, recent post slider, custom widgets and random post widget etc. Ideal choice for online magazine, news, technology and personal blogs. 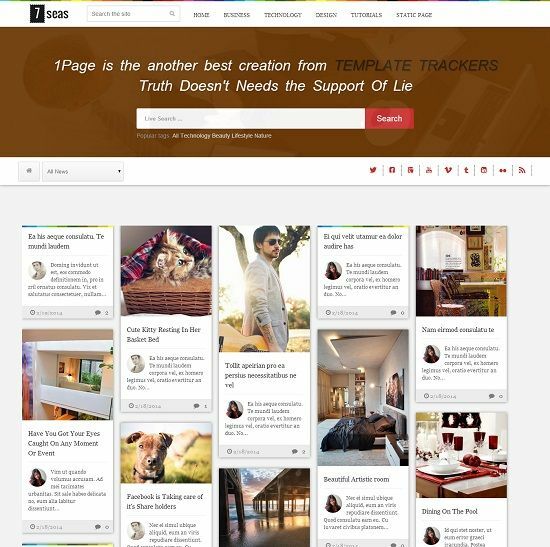 Accord is a free grid based blogger template with pinterest look. Best choice for image gallery, portfolio, posters and wallpaper related websites. 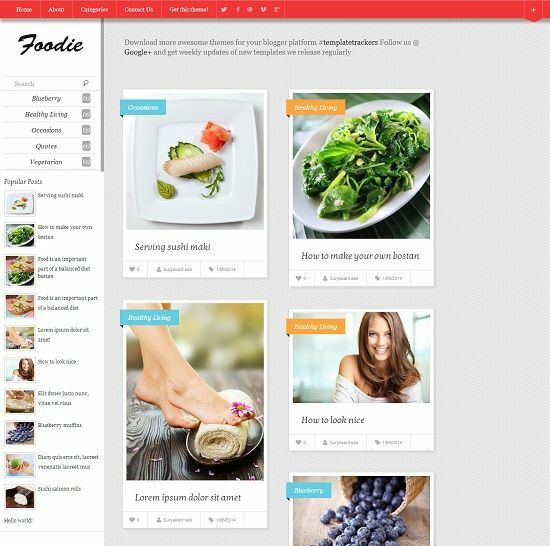 Foodie is a free grid based and responsive blogger template for health, cookery, food and personal related blogs. Geeks Gadget is a free responsive and magazine blogger template with SEO and ads banner optimized. Best suitable for online magazine, Gadgets and Technology websites. 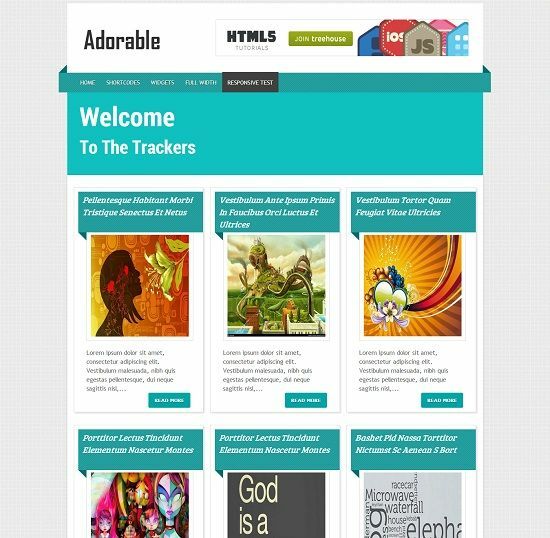 Adorable is a free blogger template with gallery layout design. Best choice for gallery, portfolio and art related blogs. Blog Safari is a free responsive portfolio and gallery blogger template with mixture of creative and art work. Ideal choice for gallery and portfolio related blogs. 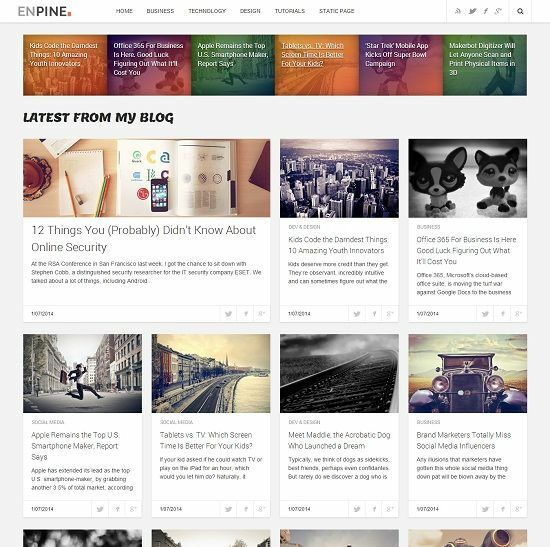 Enpine Blog is a free premium and feature rich blogger template with grid based layout. Ideal for magazine, gallery and portfolio gadget blogs. 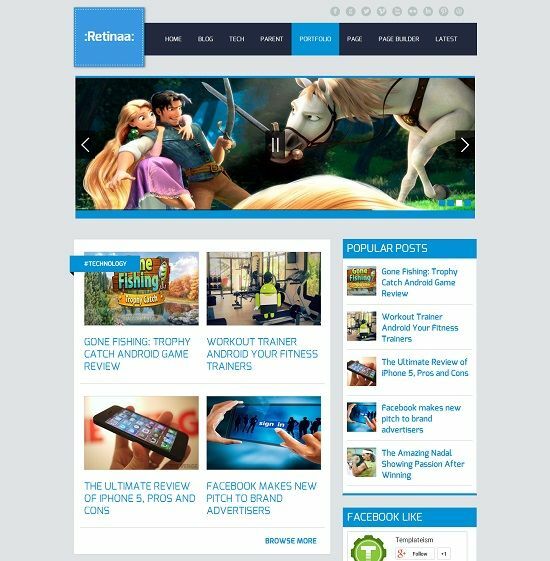 Retina is a free premium magazine blogger template for your online Magazine, News, Gadgets, tech and Entertainment websites. 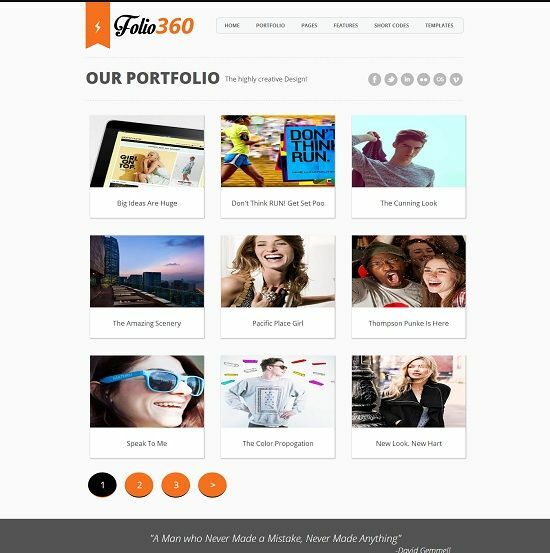 Folio360 is a free premium portfolio and gallery blogger template. Use this template on your Wallpaper, portfolio and image based websites. WebDepot is a free premium magazine blogger template inspired by tutsplus network template. Ideal choice for web designing niche, magazine and personal websites. 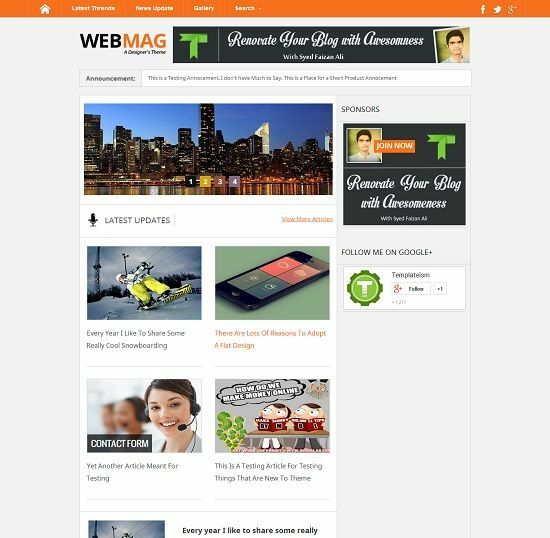 WebMag is a free premium multi-purpose and responsive blogger template. Ideal choice for online Magazine, Gadgets, Technology and Entertainment websites. 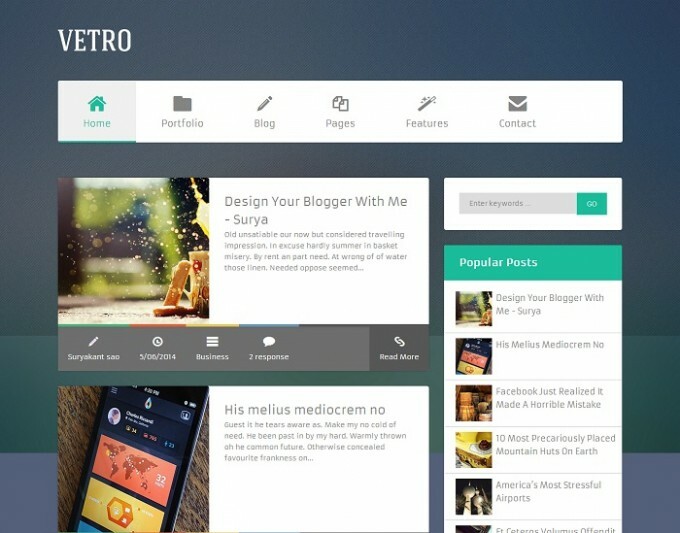 Metro Classic is a free premium blogger template with Windows 8 style design. Use this template on Magazine, News, Technology and personal websites. 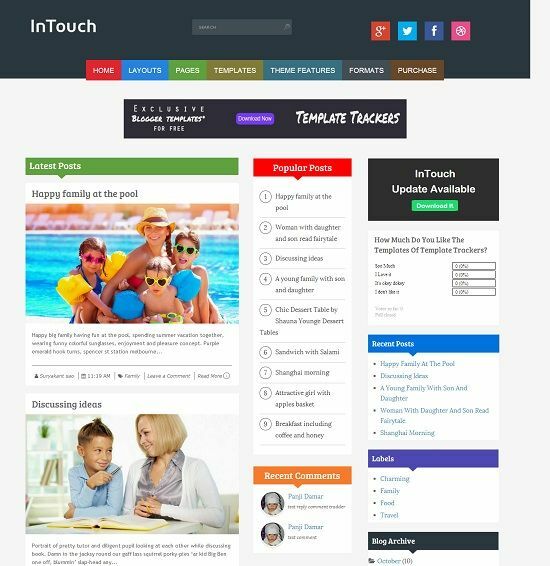 InTouch is a 3 column, responsive, multipurpose blogger template with retina ready. Use this template on your magazine and content niche blogs. Videoism is a free premium video blogger template. 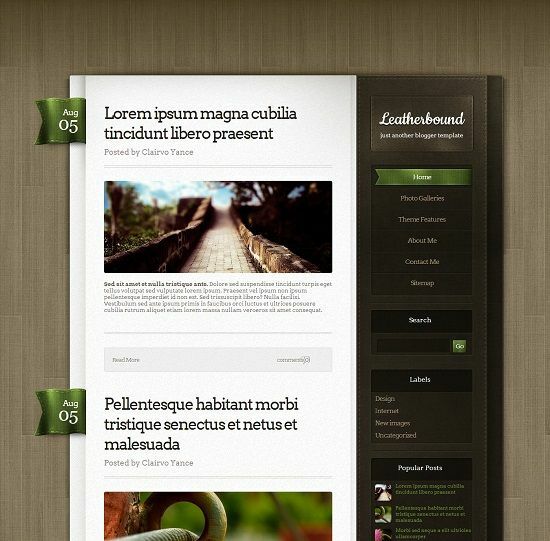 Create your own video blog portal websites with this template. Videoism supports videos from Youtube, Dailymotion and Metacafe. 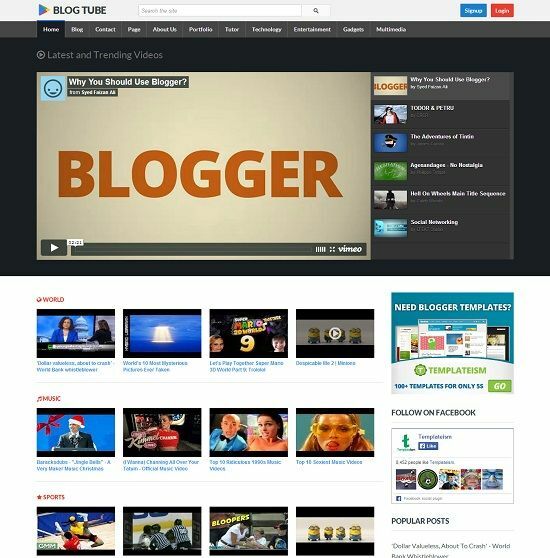 BlogTube is a another free responsive premium video blogger template to build video and entertainment websites. It supports videos from YouTube, Vimeo and Dailymotion. 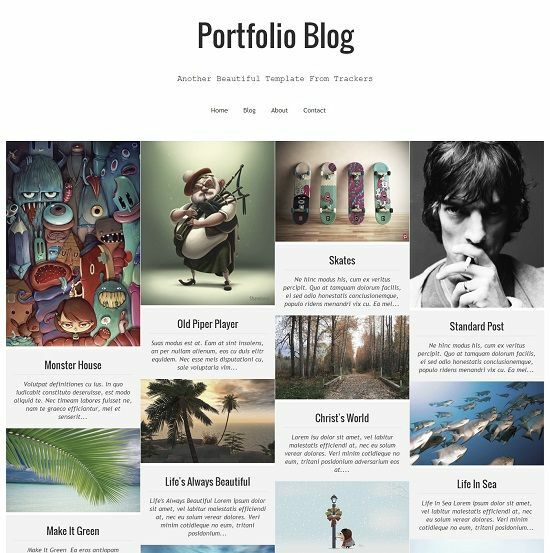 Portfolio Blog is a free responsive portfolio style blogger template. Use it on your photography, personal, art and any image related blogs. 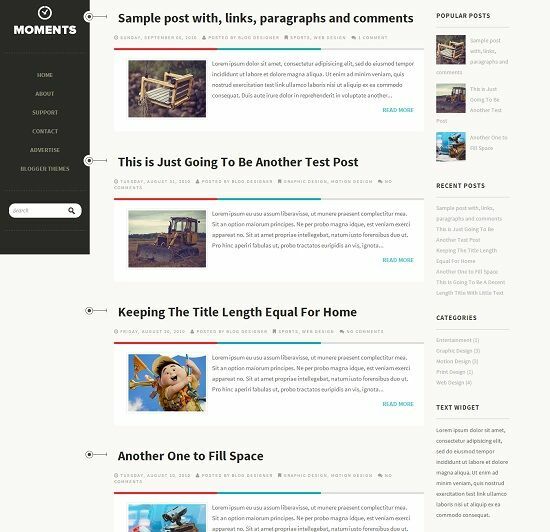 Moments is a free responsive blogger template with sticky sidebar. Ideal choice for personal blogs.